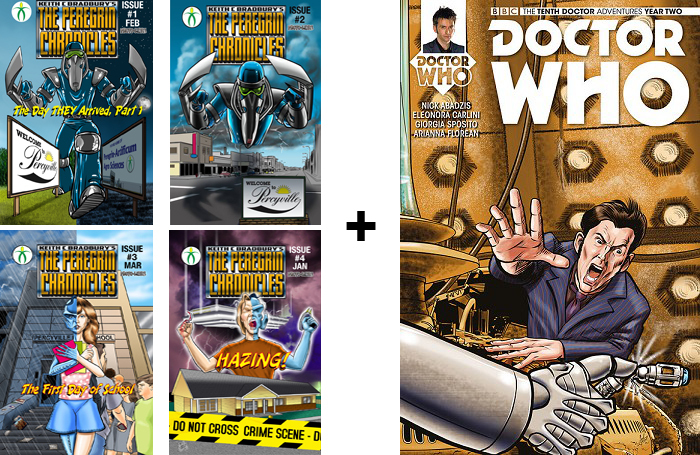 Paul McCall, the artist who did all the comic art and covers in Keith C Bradbury's The Peregrin Chronicles, has autographed his exclusive Doctor Who cover from Titan Comics (10th Doctor, Year 2, Issue 13). This package includes 5 total comics. Only the Doctor Who cover is autographed by the artist.